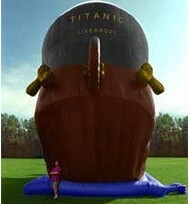 This is our largest slide, towering two and 1/2 stories above the ground. A great center piece to any event. Not for the faint of hart, or the little ones, riders must be in good physical condition and a minimum of 42″ tall to ride. Need something a bit smaller? try the 22′ fire truck or our colorful 18′ slide. 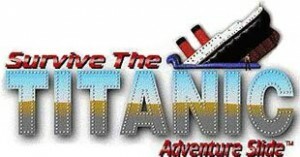 The Titanic Adventure slide is our fastest and most popular giant inflatable slide! 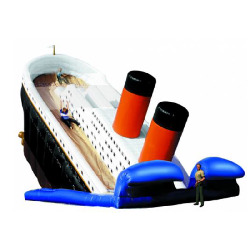 This 25 foot tall slide is sure to bring fun and excitement to your next event! Must be at least 42” tall to ride.